SilverHelme (OS Ref: SD 4735 7526) is situated near to Silverdale village. The Row, Silverdale, Nr. Carnforth. LA5 0UG. For directions on how to find us click here. 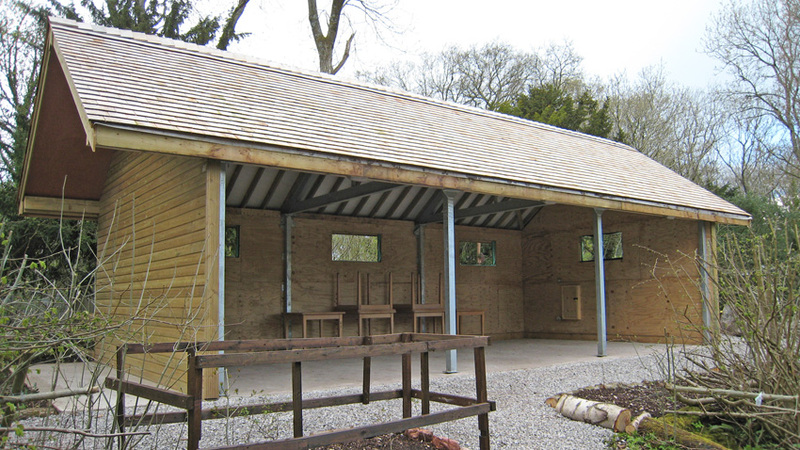 SilverHelme Activity Centre is set in eighteen acres of natural woodland, comprising mainly oak, ash, yew, hazel and holly. 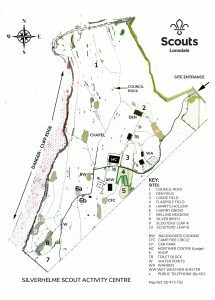 The campsite is in an area of outstanding natural beauty (AONB), the Arnside & Silverdale Area of Outstanding Natural Beauty, amidst limestone pavement, within 1.5 km of the village of Silverdale (O,S Map 97 Ref. SD 473 752). 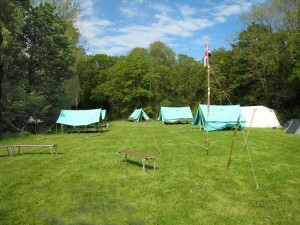 The campsite is 500m from Silverdale Railway Station and 2 km from the Morecambe Bay shore at Silverdale. 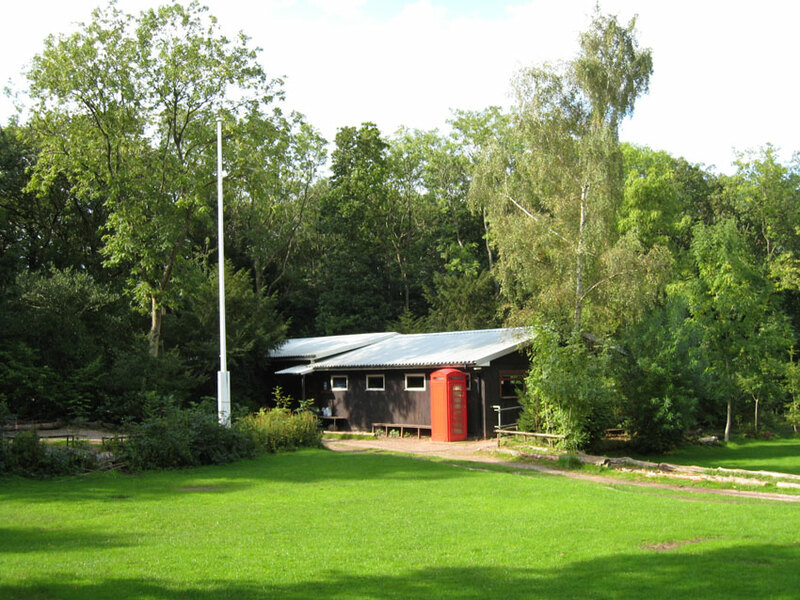 This modern centrally heated building is capable of sleeping thirty people in separate bunk rooms, ( 4 x 6 berth, 1 x 4 berth & 1 x 2 berth rooms). It has a large room for dining and indoor activities for wet weather. There is a fully fitted kitchen with gas cooking, hot water, fridge & freezer and all crockery, utensils etc. There are also separate indoor male and female toilets with washing facilities and showers; Disabled people are catered for in this area. 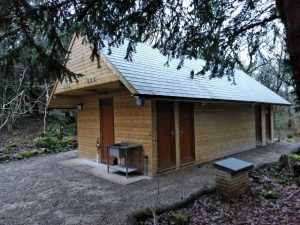 There is also a separate indoor cloakroom and storage facility for muddy footwear by the entrance to Mortimer Lodge. Mortimer Lodge is centrally heated throughout. Tea towels, sleeping bags, pillows, personal washing equipment, food and drink. 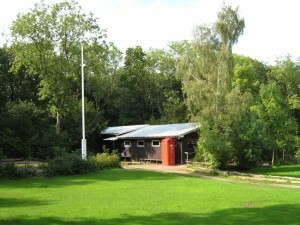 The site now has the benefit of a purpose built wet weather shelter adjacent to Mortimer Lodge. This has lighting and power and tables and chairs. Also on site is this small cabin known as ‘The Den’ which sleeps six. There is a fridge, electric kettle, toaster and a cold water sink. 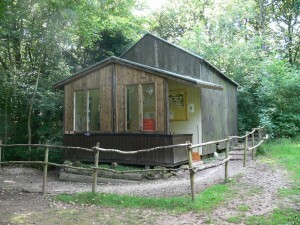 This is an ideal hut for use as a day centre for cub packs, Duke of Edinburgh expeditions etc. 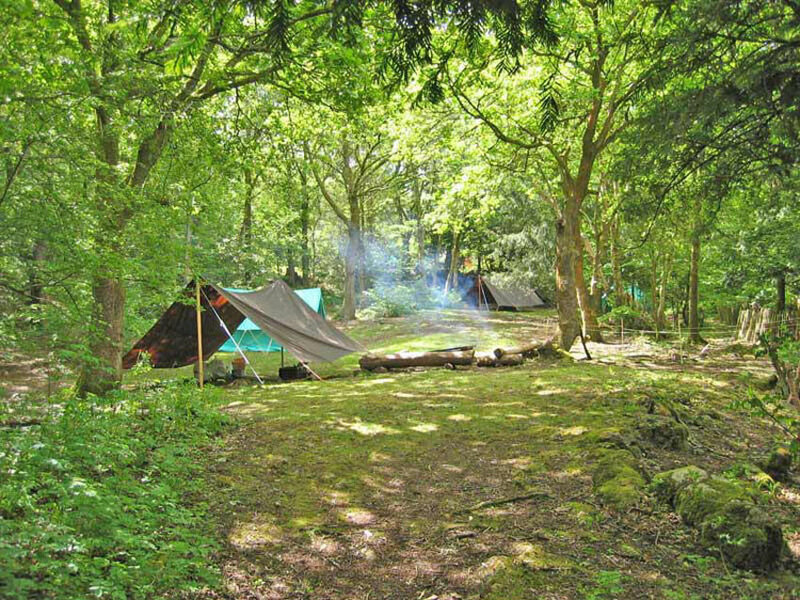 It boasts its own campfire circle and is adjacent to a large grassed area suitable for games, which can be booked with the den. A toilet block (new build 2017) with hot and cold water wash basins, disabled facilities, and separate showers is located close to the centre of the site. There are also two “washing-up” stations with hot & cold water. 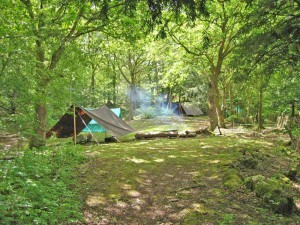 Camping is distributed between three large areas. Two of these areas are adjacent to Mortimer Lodge. The third area (Melling Meadow) is further into the site. All areas are ideal for troop or group camps. In addition there are many glades scattered through the site, the glades being perfect for patrol camps. Altar fires are located on all camping areas, for larger campfires a campfire circle is located beyond the flagpole. There is also in this area a gravelled site with a basketball net for games. There is a payphone just alongside Mortimer Lodge. Set further back behind Mortimer Lodge amongst the trees is a small open-air chapel. Wood fires are allowed on all camping areas by using Altar Fires Only. Fires Must NOT be lit directly on the ground. An area is provided for lighting fires on the ground for backwoods cooking. Groups should provide their own general first aid equipment. Any accidents must be reported to the campsite warden. The shop has Scouting and other souvenirs and badges, sweets etc. The Booking Secretary will arrange for it to be opened during your visit. The covered verandah outside the shop may be used as a base for activities. 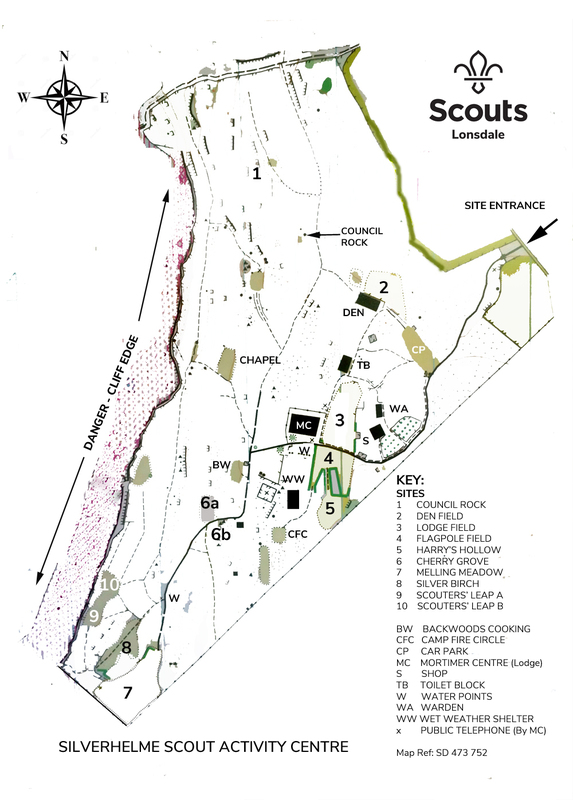 The site has a fixed orienteering course with various grades. A cliff face with anchor points provides for abseiling or rock climbing and a limited supply of rope lashings and poles for pioneering projects can be booked daily. There is a beaver trail and pond-dipping can be arranged via the warden at the local village pond. The area is full of footpaths ideal for short or long hikes in beautiful countryside with a wealth of wildlife, which includes deer, squirrels, rabbits etc. Whilst only a ½ mile away is the Leighton Moss Bird Sanctuary (R.S.P.B). Silverdale village has a greengrocers, newsagents, bakers, post office and butchers. Nearby Carnforth (4.4 miles) has several supermarkets – Tesco, Aldi, Co-op & Booths, with a variety of shops, banks and fast food outlets. There are also many other places to visit in the area including: ‑ The resort of Morecambe, The Lake District, Pine Lake Water Activities Centre Carnforth and the City of Lancaster with its Castle and Butterfly House. The Wildlife Oasis is situated a few miles away at Hale. There is a Church of England and a Methodist Church in Silverdale, a Roman Catholic Church in Yealand Conyers (3.5 miles) and churches for other denominations can be found in Warton & Carnforth. Royal Lancaster Infirmary, Ashton Road, Lancaster Tel: 01524 65944. A full copy of the Campsite Health & Safety Policy Document is available at the Campsite. Bookings can be made online, where you can also check to see if any of the facilities are available. The booking calendar is updated as soon as possible after a booking.